I think everybody knows the classic slot machines in Arcade rooms and in local bars. If I look at myself and my friends I can say that every single one of them dropped money in a classic slot machine at least once. Of course there are people that love those machines and they are playing at them while drinking a beer in a cafe. For people who love the classic slots there is good news because online casinos now offer the most popular classic slots online. At all the casinos you find on our website you can play classic slots online. Most casinos offer you a huge portfolio of different classic slots. And you can start trying a few of the classic slots for free at a number of online casinos because these casinos offer you €5 or €10 free play money on sign up. On this page I am going to explain and show you how you can play the best classic slots online. With a few video tutorials I am going to show you how a classic slot looks like online and how you can play on these machines. In the examples I am using a few different online casinos. What is a classic slot machine? Walk in to a arcade room, a land-based casino, a bar or a tankstation and you will spot a slot machine. Most of the slot machines you see at Bars, arcade rooms and tankstations are classic slot machines. In land-based casinos I think around 50% of the machines are classic slot games and the other 50% of the machines are Video Slot machines. The difference between the two types of slots are. On a classic slot you only see real reels. So you see the reels spin in real life. At a video slot machine you see the reels spinning on a screen (video screen). Classic slot machines don’t have bonus features or wild features. When you play at video slot games you can trigger loads of bonus features and you can hit big wins. In the underneath video you see a few spins on classic slot machines. Before I started playing the classic slots online I registered a free casino account at LeoVegas Casino because this casino offered me 50 free spins on sign up. And LeoVegas casino offers me a nice portfolio of online classic slot machines. At the video I opened 2 different Classic slots online at LeoVegas. As you can see I started with Joker 1.000. In many arcade rooms across the world you find this machine and now you can play it online while sitting in the comfort of your own house. For the video I started playing with the minimum bet amount of €0,10 per spin. After a few spins I triggered a big win and I receive 10 times my bet with a screen full of cherrys. The second game I showin the movie is Blazing’Hot 7’s. 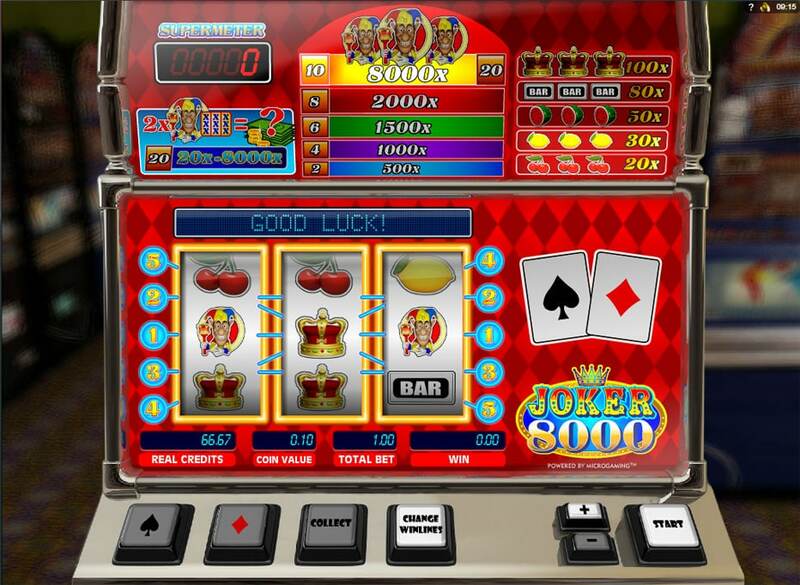 A great entertaining classic slot with a few nice features. You can bet per spin starting from €0,05. In the video I play with €0,10 per spin. And as you can see I triggered a feature within a few spins. And I won 20x my bet. I guess I was lucky while filming this video for you guys. How can you start playing Classic slots online? Before you can start play classic slots online you need to register a free account at an online casino. In the above table you find a list of online casinos we recommend to our visitors. It is up to you which one of those casinos you are going to choose. As you can see there are a few casinos that offer you free play money on sign up (21 Casino, Lapalingo and One Casino). With this free play money you can play classic slots games for free and win real money. So if you are new to online gambling you can decide to try a few free play money casinos because there are no strings attached. When you are used to online casinos or classic slot games and you want to play with real money you can try all of them. They all offer you an interesting welcome bonus. Some of them even give you 200% extra play money on top of your first deposit. In the video example and in the underneath screens I registered an account at LeoVegas Casino. At LeoVegas you not only find classic slots. You can also bet on sports, play table games or you can enter a real live casino. After you made your registration at one of the casinos you can open the “classic slots” section and there you find the available games. Open one of those games and set your bet per spin amount. At most classic slots you can start playing with €0,10 per spin. There are classic slots online where you can raise your bet up to €500 per spin. Of course these amounts of money per spin are only used by rich people. The average bet on classic slots is between €0,50 and €1,50 per spin. I love to play a few classic slots when I am playing at an online casino because I remember playing these games in my early days in bars. In the past I went to bars and Arcade games in my hometown and I loved to drop a bit of money in the local slot machine. The thrill of being lucky with a few of your friends around. Nowadays I am not visiting a lot of bars any more and I don’t have to much time anymore. So now it is perfect to play a few of those games on my computer or on my mobile phone. 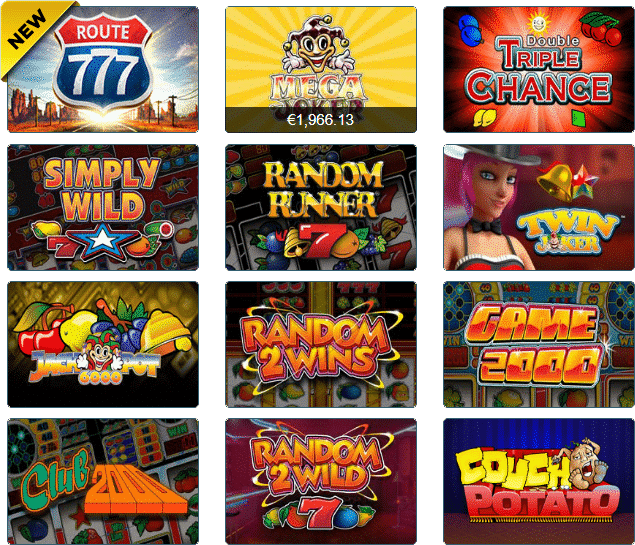 Here are a few reasons why I think you should try classic slots online. When you decide to start playing classic slots at online casinos we always recommend you to gamble responsible. We don’t want you to get addicted and lose money you can’t miss. Gambling has to be fun and it is not a way of earning a living. When you follow the underneath guidelines you will be ok.
We are playing at every online casino before we add that casino to our website. Before we add a new casino to the website we want to know if the casino is safe and reliable and if the games are suitable for our visitors. The last few days I have been playing at a few different casinos and my focus was on Classic slot games. I tried all casinos in our top 10 and from my reviews I made an ultimate Top 3 of casinos that offer you classic slots in their portfolio. Underneath you find a bit more information about those casinos. And you can also find the active welcome bonus of each casino. All these games are very popular offline games in Europe. When you enter arcade rooms in Germany or the Netherlands you find these machines. When you decide to join One Casino you receive €10 free play money (no deposit needed) and on top of your first deposit you receive 100% extra play money. Excisting players receive weekly free play money from the casino. Every week you receive €0,50 up to €5,00 free in your account. There is no deposit needed to colect this money. The weekly amount depands on your activity at the casino. The more you play the higher the amount you get. At 21 Casino you find a huge amount of different classic slot games. And you can all play them with low and high stakes. 21 Casino is one of my favorite casinos because it offers over 1.300 different games and they offer one of the best welcome bonuses. When you join the casino you receive €10 free play money to try a few games. And the minimum deposit at this casino is only €10. So you can start playing with real money very easy. In the underneath image you see a few of the most popular online classic slots at 21 Casino. Club 2000 and Simply wild are my favorite games. Join 21Casino and you receive €10 free play money. You can use this money to try every available game at the casino. You also receive 10 free spins on a popular video slot game. There is no real money deposit needed to collect these bonuses. When you decide to make a first deposit you receive 121% extra from the casino and another 100 free spins on selected video slot games. In the examples on this page I used LeoVegas Casino. LeoVegas Casino is one of the biggest and most popular online casinos around. At this casino you can not only classic slot games. The casino also offers sportsbetting, live casino, virtual sports and the best table games. The live casino section is amazing at LeoVegas Casino because you enter a real live casino while sitting at home. LeoVegas offers over 30 different online classic slots. At this casino you never get bored because the casino adds new games every week.